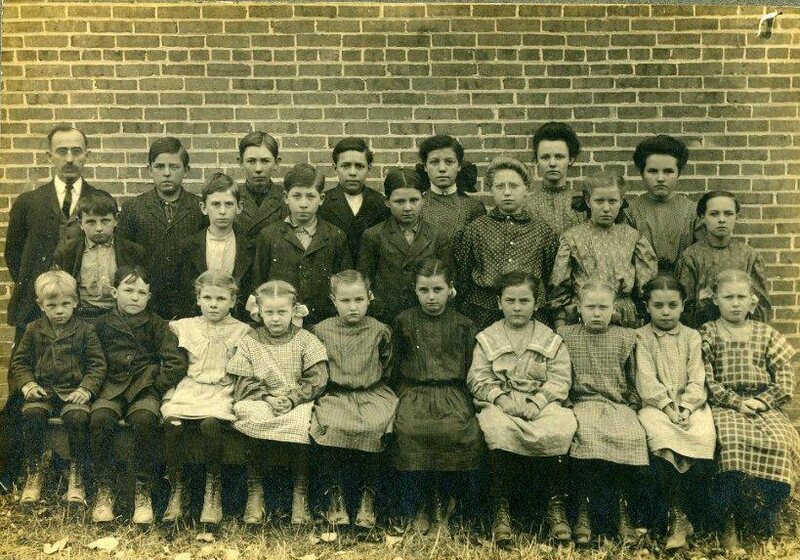 NOTE: The girl standing in the back row, 3rd from the right (with the black bow in her hair) is Maggie Lamb (1893-1980). Based on how old she appears, the photo may have been taken sometime between 1905-1910. Maggie is said to have attended Towle School.